As the holiday season approaches, in offices all across the country people will be bringing in some delicious homemade treats for everyone to enjoy. Chili cook-offs, cakes and cookies are just some of the events we are all looking forward to, but there are a couple of things to keep in mind. Yes, bringing in food is a wonderful treat for those you work with, but it can also lead to a situation of extra chances for germs to spread. 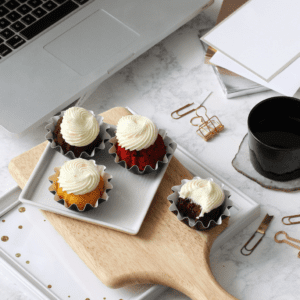 So, while everyone wants to get their hands on the delicious goodies, here are some things to keep in mind to keep it nice and tidy in the office during the holiday baking season! Often we are so excited to bring in our offering that we forget the plates! The best for an office is paper plates and silverware so no one has to do extra dishes! However if your office has a kitchen make sure to do the dishes right when everyone is done. This will reduce the risk bacteria spread and the “I’m not doing that today” mindset that has been known to spring up in late afternoon. Before hosting one of these treat days, make sure the fridge is clean and has plenty of room. Then, assign a day maybe a week after to clean it out again to make sure nothing is left and forgotten about until months later! With all that said, we love holiday treats and are excited about the coming months! We specialize in all sorts of cleaning solutions and if you feel it would be a benefit this winter and in 2019, message us and we would love to talk with you!